From its humble beginnings in a garage in a small Southern Indiana town to its current status as an industry standard, SuperATV’s impact on the ATV/UTV world has proven to be an industry game-changer, and is now one of the leading manufacturers of aftermarket ATV and UTV products. For President and owner Harold Hunt, it all started when he wanted a 2” lift kit for his Polaris Sportsman. He couldn’t find one so he designed one, then started selling them on eBay out of his garage. Harold and his daughter, Vice-President Lindsay Hunt, have created a customer focused and rider friendly organization that listens to the wants and needs of off-road enthusiasts and works to create top quality products at affordable prices. Located in the small town of Madison, Indiana, this family owned company is taking the industry by storm with dealers all over North America and customers around the world. The company recently moved to a newly renovated 220,000 sq. ft. facility that is much bigger and better than their original warehouse in Madison, Indiana. This new location has given much more space and allowed the company the much needed space to explore new opportunities. The plant includes top of the line CNC machinery, a wealth of new testing and heat treating equipment, and even their own testing track to ensure their products are tough and trail ready. 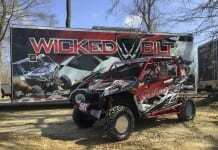 The SuperATV racing team has also been stirring up dust in the Side-By-Side racing circuit. The SuperATV racing team, including employee Driver Tyler Greves and Co-Pilot Kevin Burnette, proved their skills and SuperATV’s products in the King of Hammers and Best of the Desert Race Series. With their strong and consistent finishes, they proved that SuperATV’s products could take all the abuse the desert could throw at them. Their strong finish in the Mint 400, also known as “The Great American Off-Road Race” insured their place among the top riders and racing teams in the country. The course left countless vehicles destroyed, and humbled the egos some of the industry’s best riders, but Greves and Burnette had a strong finish and brought it to the checkered flag without a scratch. 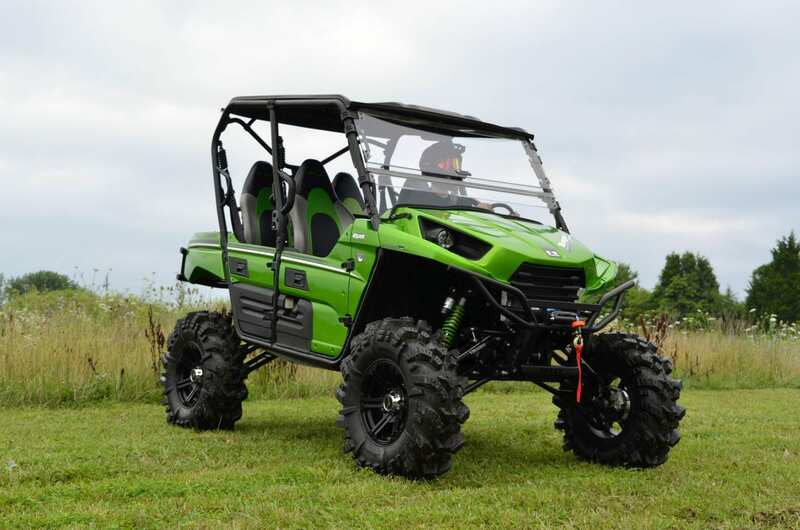 SuperATV’s extensive product line covers all of the industry’s most popular machines. The new facility has allowed for and inspired a wealth of new products like a heavy duty reverse chain, numerous clutch kits and gear reduction kits, and a top of the line ECU tuning program. New products are being released daily. 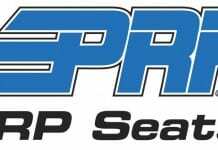 Along with their impressive list of heavy duty parts, lifts, accessories and more, some of SuperATV’s internal brands include popular names like: Rhino Brand Axles, GDP Portal Gear Lifts, Rev1, EZ-Steer Power Steering Kits, the Rack Boss Rack and Pinion, and Terminator, Intimidator, and Assassinator Tires, among many others. This industry wide coverage makes www.superatv.com a one stop shop for dedicated and hard-core riders all over the world. Rhino Brand Axles have definitely become an aftermarket favorite for extreme riders. 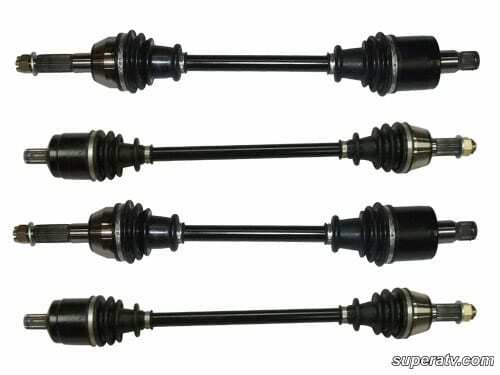 With fitments for nearly all makes, models, and years, Rhino Brand Axles are known for their strength and durability, their ability to handle drastic angles without binding, and their trusted response to abuse in high heat and high speeds. This is affordability and durability at its best. One of the newest SuperATV products to take the industry by storm is the Gear Driven Performance (GDP) Portal Gear Lift. This gear lift ensures the optimal performance of lifted machines with bigger tires. By adding a lift kit and monster tires, you rob much desired horsepower. The GDP Portal Gear Lift gives you that power back by utilizing gear reduction portal lift boxes that bring back the life in the machine’s low end. These Portal Gear Lifts come in a 4” lift version that offers a 30% gear reduction, and a 6” lift version that offers 45% gear reduction. 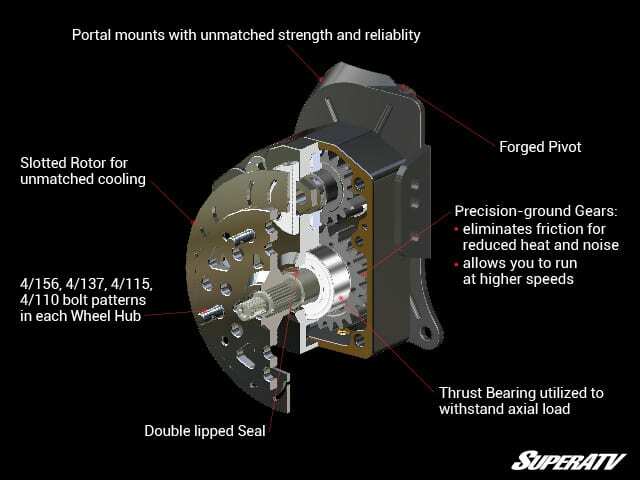 With fitments for multiple machines, the lift can be run with stock settings to offer stock axle angles, or can be added to your lifted machine to create a monster ride with unmatched low end horsepower. GDP is a rapidly growing must for all swampers, mudders, creekers, and climbers looking for more clearance and more power when turning that extra rubber in the nastiest of terrains. SuperATV’s EZ-Steer kits have traveled beyond the ATV/UTV industry and have found uses in many motorsports outlets, both nationally and internationally. The EZ-Steer Power Steering Kit is a plug-and-play unit that reduces steering effort, eliminates unwanted steering feedback, and makes machines much easier to steer (especially those with larger tires). 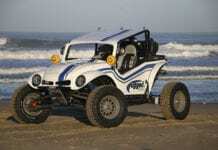 Besides the plethora of ATV/UTV fitments, the EZ Steer Universal Power Steering Kits are also being used in sprint cars, buggies, rock crawlers, and many other machines. This makes the EZ Steer an easy choice in aftermarket power steering kits. 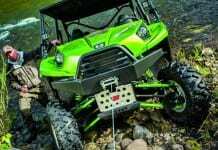 SuperATV is also helping riders cut through the nastiest mud holes, rip through the roughest trails, and climb the rockiest hills with their line of aggressive tires. 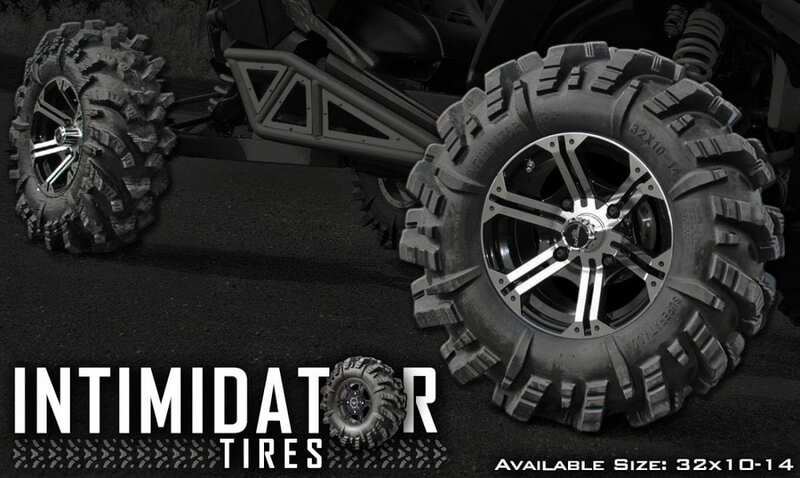 The Terminator, the Intimidator and the Assassinator have become some of the most notable names in ATV/UTV tires. The Intimidator is the smoothest, most versatile mud tire on the market. This tire is smooth on the roads and hard-pack trails, and aggressive enough to take on almost any hill or bounty hole. The Terminator is an industry favorite that has seen the bottom of some of the nastiest mud holes and cut through them like butter. 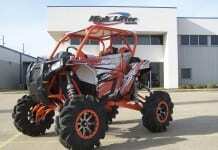 The Assassinator is SuperATV’s newest and most extreme mud tire. With a nasty 3” tread depth, these tires have a self-cleaning tread pattern and have never seen a mud hole they couldn’t cut through. These tires are a trail favorite and a regular site at parks and mud holes across the country. The SuperATV family is quickly growing. Their fans, supporters, and products can be seen on the trails, on the rocks, and in the deepest mud holes from coast to coast and around the world. They invite you to give them a call at 812-574-7777 or visit their website at www.superatv.com. You can also visit them on Facebook, Twitter, and Instagram to tell your story, share your pictures, and let them know what they can do for you.